Hot on the heels of Huawei's EMUI 9.1 beta announcements, sister company Honor has also revealed its recent software development. It comes in the shape of Magic UI 2.1. The latest version of Honor's custom Android ROM promises a multitude of improvements, chief among which is GPU Turbo 3.0. GPU Turbo is a pretty interesting and powerful graphics intermediary layer, which smooths out performance and improves power efficiency with the supported game titles. Huawei has been working really hard to get to this latest 3rd iteration of the tech. You can read up on GPU Turbo here. Aside from that, Magic UI 2.1 will also bring AI one-button wake-up, AI video editing and an AR measurement tool. 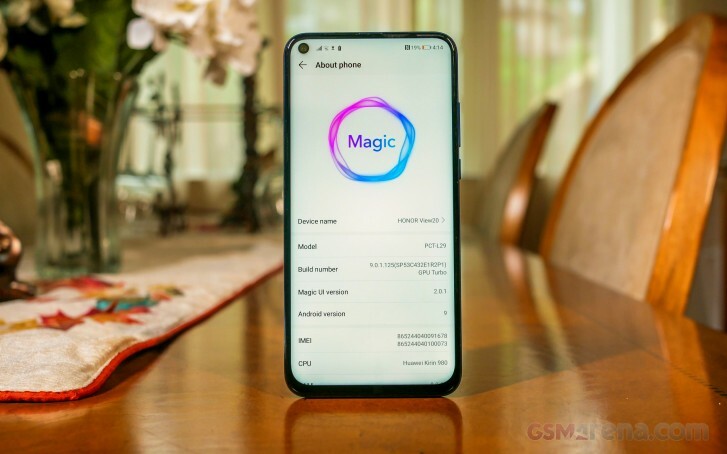 The list also includes a dual SIM card switching feature, mobile phone keys support (likely borrowed from the latest Huawei P30 family) and a one-touch smart screen. Oddly enough, the latter few appear to lack "AI" in their names, which just seems like a wasted marketing opportunity. We're just kidding, of course. 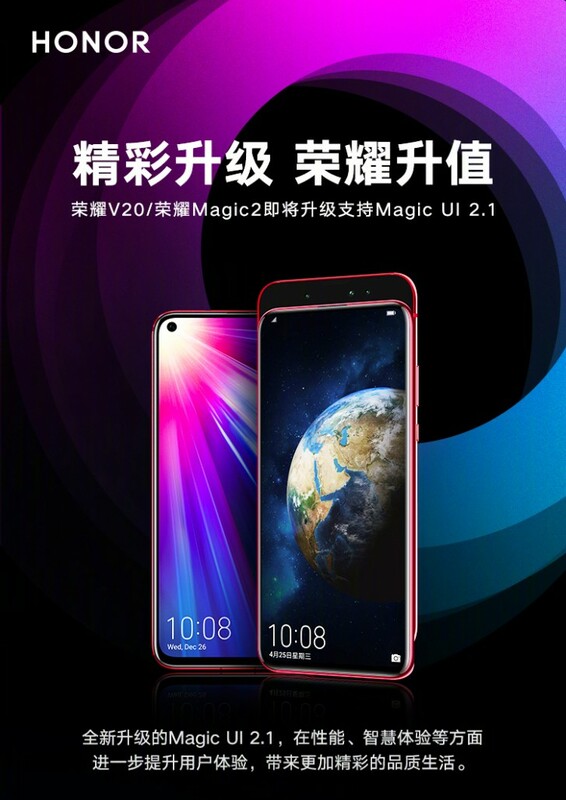 Honor has promised to ship an open upgrade application to Honor Magic 2 and View 20 (V20) users, willing to participate in the beta at the end of April. A full OTA Magic UI 2.1 release for the pair of devices is expected in May. After that, more Honor phones are likely to follow. It is worth noting that the first beta wave will likely be limited to the Chinese software branch. Perhaps the upcoming Honor 20i will ship with the new OS as well.